It was recently asked because of a post what my vision was for the party. My vision is still for Northern Ontario first and foremost. I also believe in following the rules and not bending the rules or constitution to rush issues or solutions. I also believe in majority rules and that it is more realistic to have 50%+1 vote than it is to have full consensus because if we try to make every single person happy, then we would never get anything accomplished. Can you imagine how many things would be resolved in any government if it had to go on full consensus (100% of people happy). I also vision that the Northern Ontario Party representing the people and fighting to right the wrongs of Northern Ontario. Members provide the information and direction, especially when it comes to the party constitution and the elected executive, or even stepping up to fill a position. Many ask why things have happened, and the simple answer is because I follow and ensure the constitution be followed, and not only be used as a guideline. There is a process and procedure for almost everything in politics, and are the way they are because of past experience, not just this party, but in politics in all. I do not and will not apologize for upholding and ensuring the constitution be followed. Members, voters, and future generations are what keeps me passionate and involved. 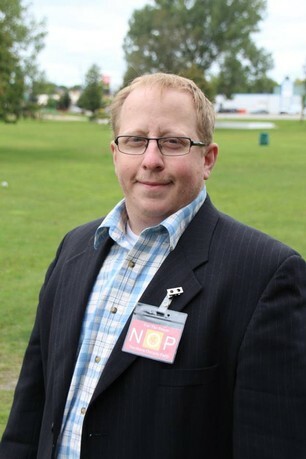 Also the Northern Ontario Party would be the party with all 13 seats that puts Northerners first. Finally to thank you for your ongoing support and building the party up to be only party who focuses on Northern Ontario.